on December 16 with a re-enactment of the line’s first public passenger train. (Tywyn’s original passenger terminus) then continued to Abergynolwyn. There, Talyllyn society president David Mitchell and general manager Tracey Parkinson, both in Victorian attire, delivered speeches. 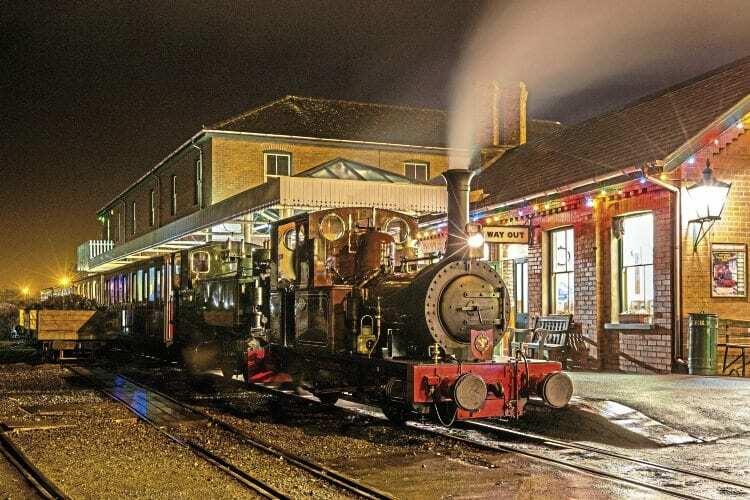 Talyllyn Railway’s anniversary celebrations began in 2014 and continued through a series of galas in 2015 and 2016, tracing the story of the railway and celebrating landmark dates. The precise date of the first passenger train is uncertain. The start of public passenger services was reported in the North Wales Chronicle of December 22, 1866, which noted passenger trains on the railway had begun departing from Abergynolwyn at 8am and 3pm Monday to Saturday, so it is assumed the first such train ran sometime in mid-December 1866. Trains have run on the line every year since.